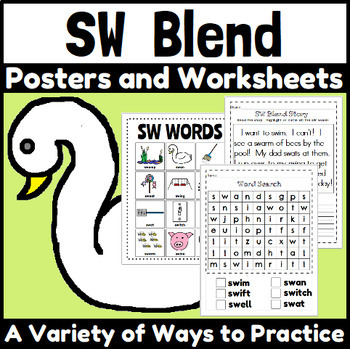 Practice reading and writing words with the SW blend with this worksheet packet. There are a variety of activities available for practice. 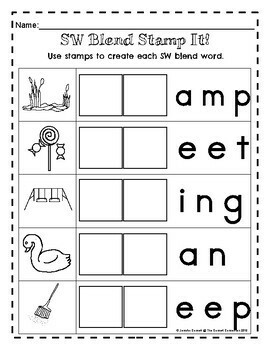 2 SW posters that show the pictures and words used in the packet. One in color and one in black and white. 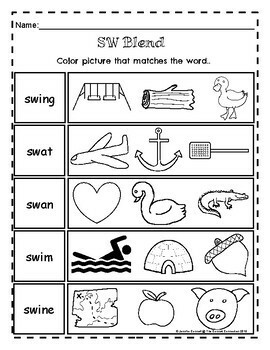 3 Cut and Sort words or pictures that begin with SW or do not begin with SW.